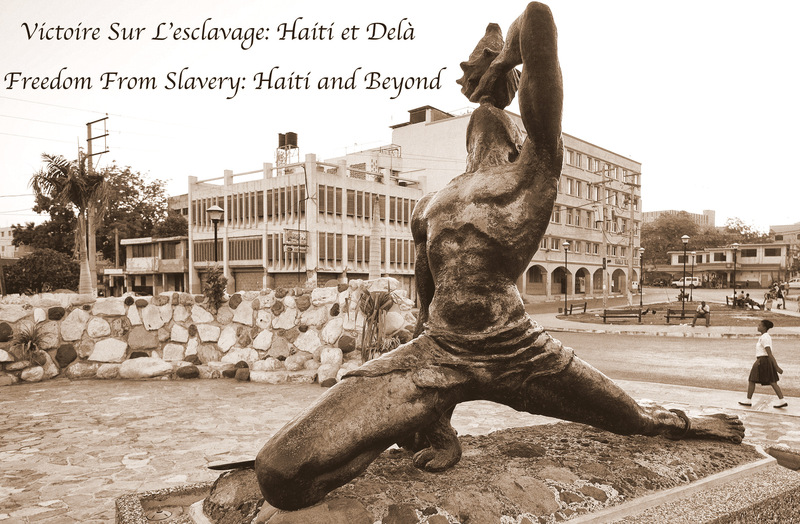 Cite Soleil, Epicenter of a New Haitian Revolution? What if there were an election and nobody came? It happened in Haiti on August 9, 2015. Language fails us. Words like election, plebiscite and democracy no longer matter. If there had been a word for an election under foreign occupation, then the vacuous exercise would have carried its proper name. The business of occupation elections has great appeal for Haiti’s hustler class, who appeared in droves to run for the legislature. 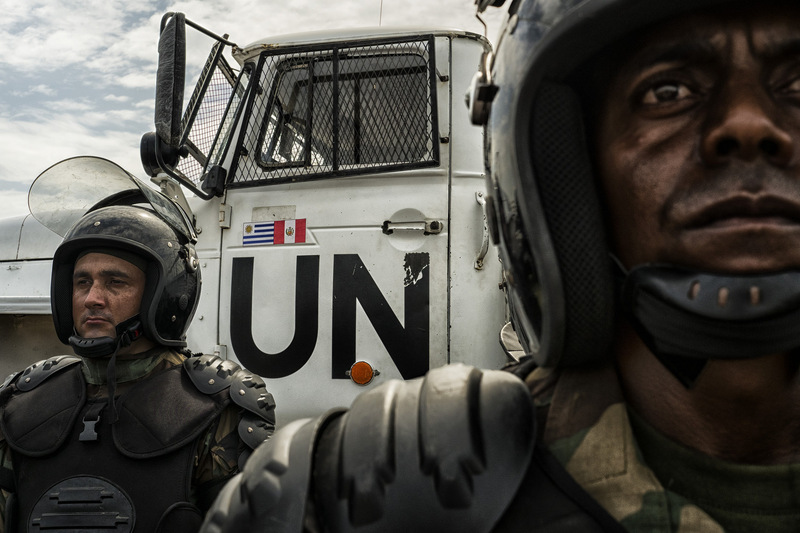 Millions of United Nations dollars were distributed to over 2,200 candidates, ostensibly to administer their campaigns. At least 10 percent were hoodlums who had cloaked themselves as candidates, to benefit from the immunity that Haitian law confers on legislators from criminal prosecution. They came, heavy with weapons and pre-filled ballot boxes, to attack the polling stations. Peterson Salomon, nicknamed Te Quiero, was killed on June 14, 2015, as soon as there began to be talk of elections. 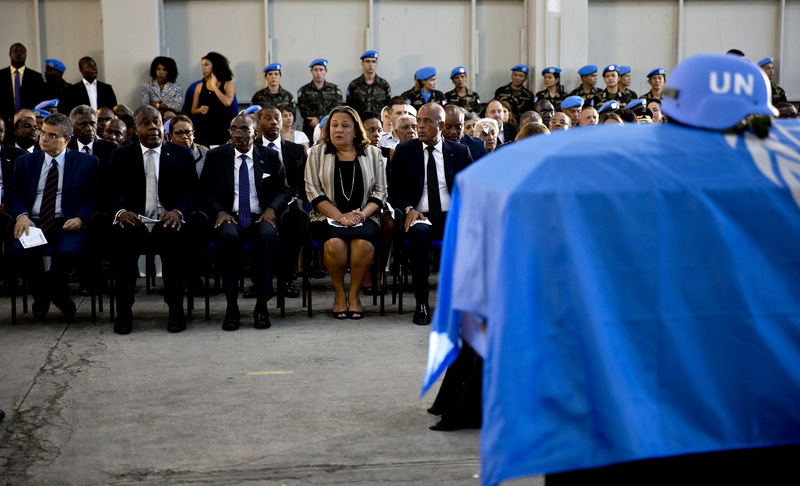 This most recent killing of a Cite Soleil leader is still presented by some news organizations as the result of supposed inter-gang rivalry, although the PNH and MINUSTAH have assumed responsibility for it. The PNH has claimed that Te Quiero refused to submit to a search and then shot at them, but Cite Soleil eyewitnesses described an assassination. According to one woman who witnessed the killing: “There was no war against the police. There was no police! People said, here come the blan [foreigners], and everybody went inside their homes. The blan hid out on the porch of this house. There was one who laid flat on the ground. Te Quiero was up there in his home and about to step out. The moment he appeared there, you heard a shot: a single shot and he fell to his knees and died.” Another witness described the killing of a teenager called Nono with a single shot to the head, because he appeared at the wrong time, and the death of an infant by asphyxiation from tear gas thrown by MINUSTAH after the shootings. A man who had been with Te Quiero recalled: “We were in the first-city area having a good time and drinking. And then we saw four MINUSTAH snipers appear. They made no sign and said nothing. They just started to shoot at us….” All the witnesses described Te Quiero and his group as serving the community. According to another man: “They do a job that the police cannot do. They were the ones who protected and served…. They were the ones who watched the place. When we have a problem, it is them that we go see.” Three days after the assassination, 60,000 people took to the streets of the slum to honor Te Quiero’s memory and especially to call for MINUSTAH to go. The accounts of the killings and protest were published in Creole-language videos but until now reported nowhere in print. Since June 2015, there have been reports of a spate of killings of Haitian policemen by supposed bandits on motorcycles, though it has become increasingly clear that an armed resistance against the occupation has developed in Haiti. 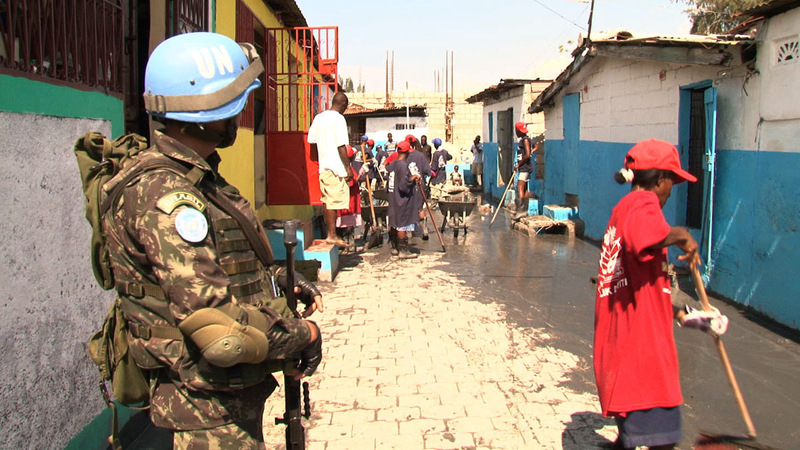 During the night of October 16, more than 15 people in Cite Soleil were shot dead and over 140 were arrested by a new branch of the PNH called the Brigade for Departmental Operation and Intervention (Brigade d’Opération et d’Intervention Départementale, BOID). The inauguration of this new group in June corresponded, not only with the start of the election season but also with the conclusion of the training by Ecuador of a new paramilitary force, loyal to Michel Martelly. Witnesses say that two pregnant women were among the dead. The PNH has claimed responsibility for the raid, but it said that it counted only two victims from a shootout, both of them gunmen. Nevertheless, the press persists with its conclusion that the killings in Cite Soleil were due to internecine warfare. The notion that Martelly’s gangs might be battling the partisans of other candidates for the Cite Soleil electorate is patently absurd. 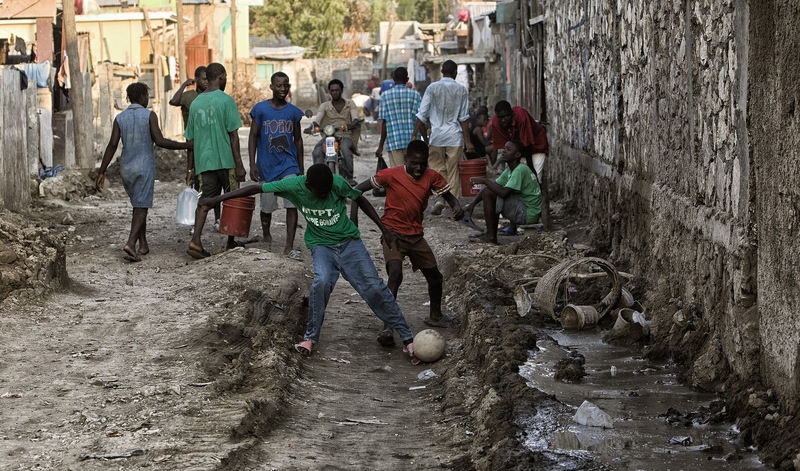 Cite Soleil and the other slums in the greater Port-au-Prince area want no part of the elections. Period. 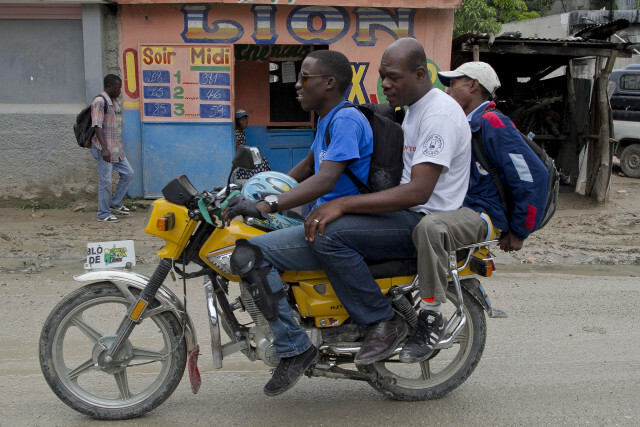 The occupation has announced that it will deploy 10,000 police, 2,500 MINUSTAH troops and police, over 880 motorcycles and 150 four-by-fours throughout Haiti on October 25 to protect – or rather, corral — the voters. 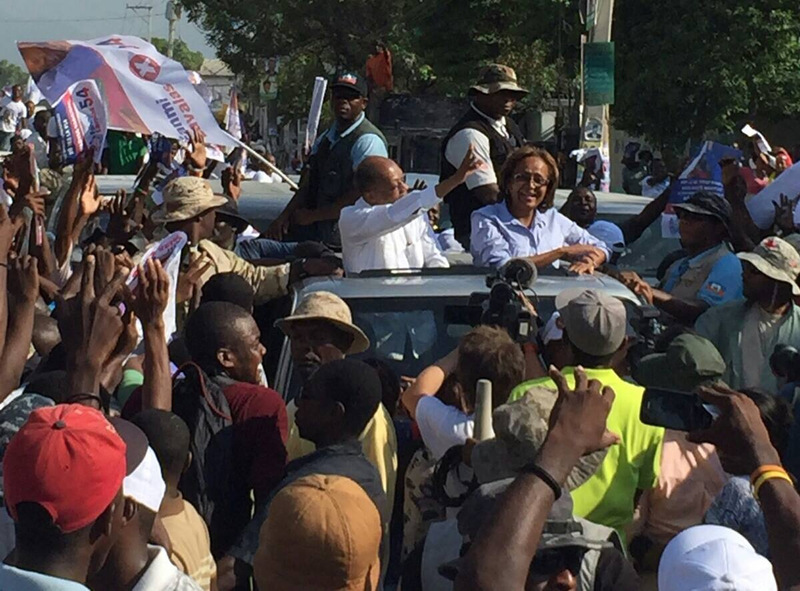 A good show of slum voters is needed, not to help Martelly, but to concoct a convincing win for the Fanmi Lavalas presidential candidate, Maryse Narcisse, for the international press. Indeed, on October 23, Aristide was brought out of his house arrest, under heavy guard, to display yet more support for Maryse Narcisse, this time in Cite Soleil; apparently, the BOID bloodbath and arrests had cleared the stage for this show, which was immediately reported by the Associated Press. The results of the first-round presidential elections of October 25 have already been decided by a CNN poll, which gave Narcisse 27.9 percent of the electorate, followed by Martelly’s candidate Jovenel Moise at 18.9 percent, Preval’s candidate Jude Celestin at 14.9 percent, and Lavalas-offshoot candidate Moise Jean-Charles at 11.8 percent. A persuasive win for Narcisse will distract the world from Haiti’s municipal and legislative elections of October 25, which will be disastrous. A Narcisse victory cannot be arranged without people lining up at the polling stations, waiving the photos of Aristide and Narcisse that were conveniently staged for the occasion on September 30 and October 23. 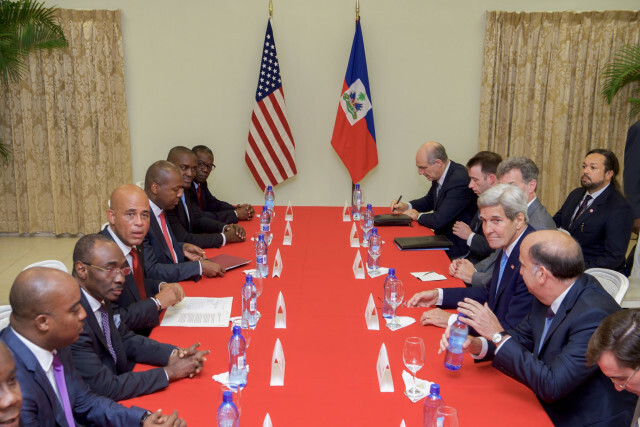 The bloodshed in Cite Soleil and elsewhere has less to do with Haiti’s elections than the 2016 US elections. The Clintons want to eat their cake and have it too. They want to present themselves as Haiti’s saviors despite having destroyed Haiti’s governance for their own benefit. They want to win even if it costs many hundreds of lives in Haiti’s slums to break the election boycott and herd the voters for the cameras, so as to generate the Associated Press-Reuters-CNN euphoria of a supposed return of democracy to Haiti in the person of a female leader. Editor’s Note: For more from Dady Chery on the Haitian elections, read We Have Dared to be Free: Haiti’s Struggle Against Occupation, available as a paperback from Amazon and e-book from Kindle. Does it matter who wins or loses Haiti’s occupation elections? Does it matter that there are no results for the legislative or municipal elections? Does it matter who wins or loses Haiti’s elections when fewer than 8 percent of voters came out and the election officials are trying to make it look like 26 percent? Do we discuss why there are Haiti occupation elections in the first place or which sellout presidential candidate won or lost? Shall we discuss the fact that several rhinoceroses went by or the number of horns they had? Dady Chery, with gratitude to Eugene Ionesco. 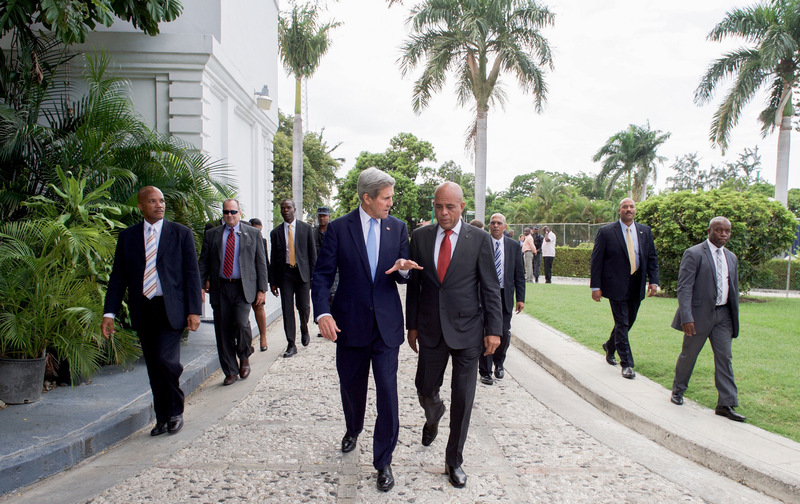 One Response to Cite Soleil, Epicenter of a New Haitian Revolution? Its that blue and red colonial flag that Haiti is flying now that’s giving power to all of this confusion and disorder. We need to Bring back our flag, red BLACK and white.